Graphic footage of a prisoner being tortured has gripped the Russian public. But the lawyer who helped expose this torture needs state protection. Russian independent newspaper Novaya Gazeta recently released footage of how Evgeny Makarov, a prisoner in Yaroslavl Colony No 1, was brutally tortured in June 2017. Source: Novaya Gazeta. Last month, a gruesome torture scandal broke out in Russia — one that finally means the authorities cannot continue to ignore the gravity of the problem. On 20 July, Novaya Gazeta, a leading Russian independent newspaper, published a 10-minute video of penitentiary officials viciously beating a prisoner in a penal colony in Yaroslavl, 266 km from Moscow. The beating was clearly meant as a punishment for an inmate who not only misbehaved but, notably, had filed many complaints with the prison service about mistreatment. The officials went about the beating in a businesslike manner, stretching their victim on a table and methodically hitting him with batons. 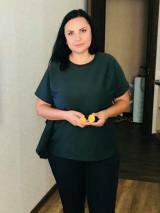 The video, recorded with the body camera of one of the torturers over a year ago, was leaked to Irina Biryukova, a human rights lawyer with the Public Verdict Foundation, an independent group that assists torture victims. Biryukova shared the video with Novaya Gazeta after months of futile efforts to force the authorities to investigate. Over two million people watched the shocking video in the first 48 hours after its release. As a wave of public indignation was rising, the country’s chief criminal investigation agency swiftly opened an investigation into abuse of authority with the use of violence, and 12 suspects have been arrested pending trial. The victim, 25-year-old Evgeny Makarov, was transferred to another penitentiary and eventual received government protection. The deputy head of the Russian Penitentiary Service publicly apologised to the victim and his family, promised full accountability for all the staff involved, and said that he was “ashamed by those staff members.” His apology and assurances appear unprecedented in Russia, where authorities typically dismiss prisoners’ complaints of ill-treatment. Several weeks later, the Public Verdict Foundation passed excerpts from the arrested officials’ confessions on to Novaya Gazeta. These statements shed light on something very puzzling. Indeed, why would a prison guard make a video recording of a prisoner’s torture? Was he simply careless and forgot to turn off the camera? Was he a sadist? Did he want to keep the video to watch privately or in the company of people similarly inclined? No. One of the suspects explained in his testimony that they recorded the video to demonstrate to the penitentiary’s senior officials that the order to punish an arrogant prisoner had been thoroughly executed. It’s particularly ironic and by no means a coincidence that the “punishment” was carried out in the room especially allocated for educational activities. They were, after all, supposed to “teach [Makarov] a lesson”. The case of Evgeny Makarov is horrific and very specific — both because the video made the abuse proceedings impossible to deny and because officials suppressed the video for almost a year. That did not go unnoticed by the UN Committee against Torture, which had been scheduled to review Russia’s torture record just as the scandal broke. But Makarov’s case isn’t unique by far. To illustrate that torture is widespread in Russia, Meduza, a leading online media outlet, pulled together data on more than 50 other torture cases reported in the public domain in 2018. The alleged torturers include police officials, investigators, security agents, and penitentiary officials. The alleged methods of torture include beating, asphyxiation, electric shocks, restraining in painful positions, sleep deprivation, denial of water and so on. Only a few criminal cases were opened into these incidents, and only one of them has been moved to trial. Irina Biryukova. Source: Personal archive. Biryukova told Human Rights Watch that although the scandal over the case would not put an end to torture in Russia, it has at least served to get things moving in the right direction. An important step in that direction would be to guarantee protection to whistleblowers and in this case, immediately extend government protection to Biryukova, something the UN committee also urged. Biryukova received grave threats right after the video’s publication and had to flee Russia with her teenage daughter. She filed a request for government protection weeks ago, but it hasn’t yet been granted. Biryukova is eager to return to Russia, especially as her daughter needs to go back to school, but their safety is paramount.